Shlikhter, Oleksander [Шліхтер, Олександер; Šlixter (Александр; Aleksandr)], b 1 November 1868 in Lubny, Poltava gubernia, d 2 December 1940 in Kyiv. Bolshevik revolutionary, economist, diplomat, and functionary; full member of the All-Ukrainian Academy of Sciences (VUAN) from 1929. After studying at Kharkiv University and Bern University (1889–91) he worked in the Russian Social Democratic Workers' party underground in Kyiv and Zlatopil and was arrested and exiled several times. He joined the Bolsheviks and helped organize a general strike in Kyiv in 1903. During the Revolution of 1905 he organized railway workers' strikes in Ukraine, the Kyiv general strike, and other revolutionary actions. In November 1917 he took part in the Bolshevik coup in Petrograd (see October Revolution of 1917), and in 1918–19 he was Vladimir Lenin's commissar of requisitions in Russia and Siberia (1918) and Ukraine (1919). Under Soviet rule Shlikhter served as chairman of the Tambov Gubernia Executive Committee (1920); member of the All-Russian, USSR, and All-Ukrainian central executive committees; plenipotentiary of the USSR People's Commissariat of Foreign Affairs in Ukraine and member of its collegium (1923–7); head of the Ukrainian Association of Consumer Co-operative Societies (1923); member of the Presidium of the All-Ukrainian Central Executive Committee (1923–37); a CP(B)U Organizational Bureau member (1924–6); rector of the Artem Communist University in Kharkiv (1924–7); a CC CP(B)U member (1925–37) and Politburo candidate member (1926–37); commissar of agriculture in Ukraine (1927–30); director of the VUAN Institute for the Socialist Reconstruction of Agriculture (1928–34); director of the Ukrainian Institute of Marxism-Leninism (1930–1) and president of the All-Ukrainian Association of Marxist-Leninist Scientific Research Institutes (1931–3); VUAN and AN URSR (now NANU) vice-president (1931–8); and chairman of the Council for the Study of the Productive Resources of the Ukrainian SSR (1934–7). 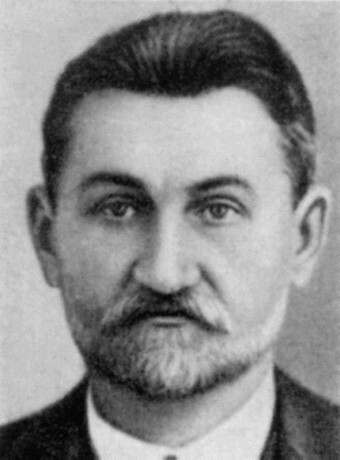 Even though he was an opponent of Mykola Skrypnyk’s views on the national question, Shlikhter was arrested in 1937, but he survived the Stalinist terror. He wrote articles on economic, historical, and political subjects. Editions of his selected works were published in Kharkiv (4 vols, 1930–2) and Kyiv (1959), and a volume of his writings on the agrarian question and early Soviet requisitioning policy appeared in Moscow in 1975.